Home Dillon DBB-1284 BBb tuba in lacquer with case. Dillon DBB-1284 BBb tuba in lacquer with case. 4 rotor valves of .750” bore in the first 3 valves and .800” bore in the 4th valve. Comes with a zipper hard-shell case and a mouthpiece. 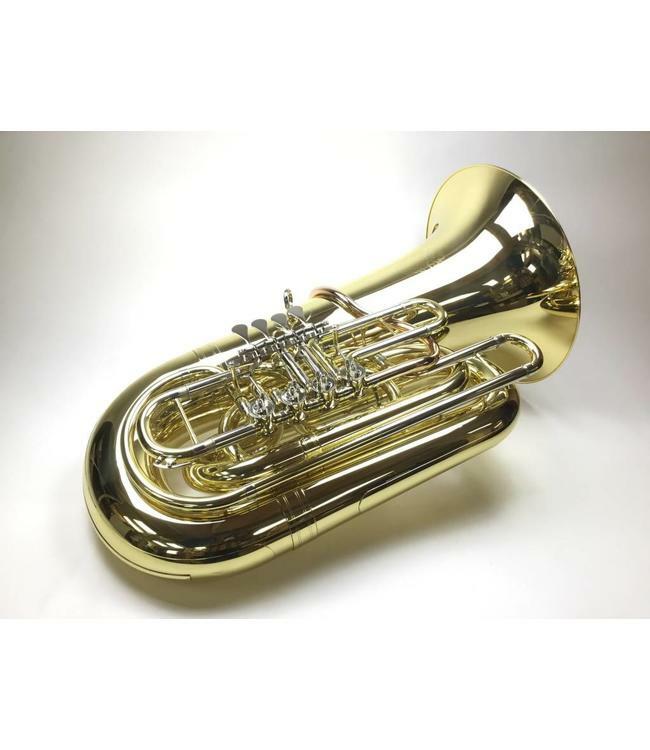 An easy to hold and play BBb tuba with the big velvety sound of the 6/4 Orchestra CC tubas that cost thousands more. Good intonation and quick response makes for a BBb tuba whose commanding breadth of sound will be welcomed in any large ensemble. Takes American Shank mouthpiece.